In this buyer’s guide, we’ll review the 6 best baseball radar guns on the market right now. We’ll also outline some key things to consider when buying, helping you to choose the right radar gun to measure your pitching pace. Photo by James G licensed under CC BY 2.0. First, let’s look at some of the best radar guns you can use for baseball. For most baseball/softball players and coaches, all you really need is a simple point-and-shoot speed gun. 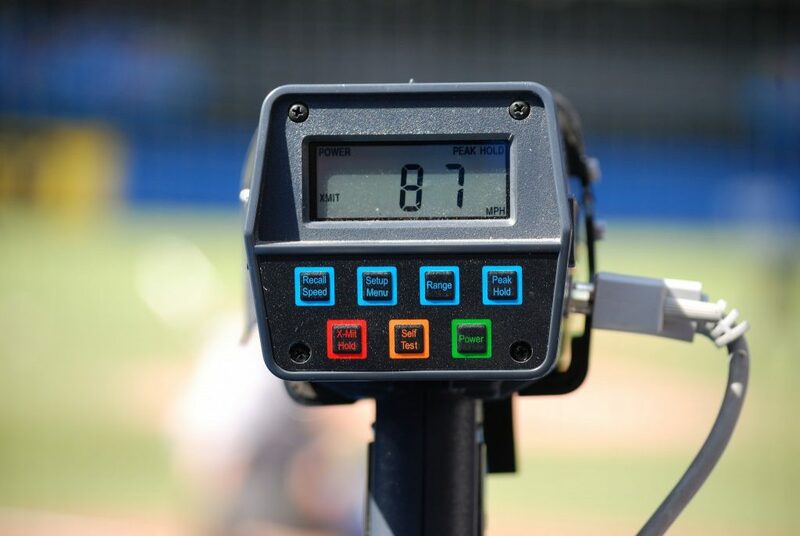 Unless you’re about to break into the Major League, it’s probably not worth spending a ton of money on a fancy radar gun. This is why the Bushnell Velocity is such an excellent choice. It’s reasonably priced, and it’ll record any speed from 10 all the way up to 110mph. Plus, it’ll pick up a baseball’s velocity at up to 90 feet, which is plenty for coaching. However, you might want something with a longer range if you’re going to be measuring speeds in-game. This speed gun isn’t just designed for ball sports – it’s engineered to pick up the speed of large vehicles at much longer distances. It’ll measure the velocity of cars for example at up to 1500 feet, and record automotive speeds of up to 200mph. As a result, this gun is awesome for more than just baseball – you could take it to NASCAR races to pick up the drivers’ cornering speeds if you wanted to. What’s more, the Bushnell Velocity is super easy to use. 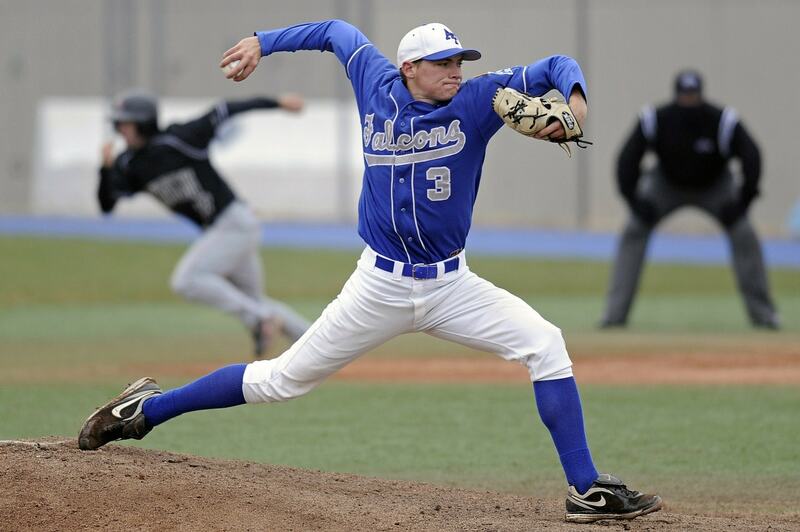 Simply stand behind the pitcher, point the gun down the line of the throw, and hold the trigger. Release it to see the fastest speed of the ball during the pitch. You also get a large LCD screen, and the batteries last a really long time. Considering what it costs, this radar gun is perfect for both baseball and softball. It has everything you need as a junior coach or aspiring pro, and it’s excellent value for money. Batteries last a long time. Only has a 90′ range for baseballs. Unlike most radar guns, the Pocket Radar Ball Coach is specifically designed with ball sports in mind. As a result, it has a number of features which are particularly useful to baseball coaches and players. Firstly, it has a “constant on” mode. This means you don’t have to hold a button/trigger down all the time to measure the speed of every pitch. In fact, the device will memorize the speeds of up to 25 previous pitches, allowing the player to experiment with their technique without having to pause for ages in between throws. Secondly, the Ball Coach is designed to find and display the maximum speed of the ball in flight. This is what you want, because each pitch tends to lose a lot of velocity in the time it takes to reach the batter. Thirdly, this device can be mounted on tripods, fences, and even the catcher’s helmet. No longer do you need a partner to measure your ball speeds for you. With regards to specifications, the Ball Coach doesn’t disappoint. It’ll record baseball speeds of up to 130mph at up to 120 feet, and the included AAA batteries will last an hour or more if you leave the device in constant-on mode. You can even swap these batteries out for rechargeable ones to double the device’s play-time. Plus, it comes with a 2-year warranty against defects for peace of mind when buying. The only thing we can fault this product for is its cost: it’s quite expensive. However, you definitely get what you pay for. Has a “constant-on” mode – no need to hold a trigger. Comes with a memory function to store speeds of up to 25 previous pitches. Can be mounted on a fence or tripod – no need for a partner. This one is for the scouts and pro coaches out there. The Stalker Sport 2 is probably one of the best radar guns designed specifically for ball sports. It’s accurate to within +- 1mph at a range of up to 300 feet, which is quite incredible for a handheld device. Plus, it’ll capture speeds from 5-150mph, allowing you to measure the pace of absolutely anything at the field. If you have a sudden urge to know how fast the mascot is moving its arms, you’ll be able to find out with the pull of a trigger. You also get six rechargeable AA batteries and an included charger, meaning you’ll never have to buy disposable batteries again. Good for the environment, and good for your wallet. However, in the short term, the Sport 2 isn’t going to be saving you any money – it’s incredibly expensive. But there are very good reasons it costs so much, which is why all 30 MLB teams use Stalker’s products. This speed gun is accurate, has an excellent range, and won’t break easily. Ultimately, the Sport 2 is for the best of the best. If you’re not an elite-level coach or talent scout though, you’ll definitely still see the benefits of having this gun. Works over incredibly long distances. Accurate to within +- 1mph. Comes with charger and rechargeable batteries. Not looking for a traditional point-and-shoot speed gun, but don’t want to spend a ton of money on the Pocket Radar? This gadget could be just what you need. Basically, it’s a miniature radar gun which attaches to the back of the catcher’s mitt. Its radar signals pass through the glove, so you don’t need to worry about using a mitt with large gaps in between the fingers. What’s great about this device is how easy it is to use. There’s no standing behind the thrower and worrying about lining up the gun correctly. Simply put it on, catch the throw, call out the speed, and throw the ball back. This allows the pitcher to practice heaps of throws in quick succession without the need for multiple balls or a third person. Another benefit of this radar is how cheap it is. It’s also surprisingly durable, and comes with a three-month limited warranty. Plus, you don’t need to calibrate it or anything to get it to work. However, there’s a considerable drawback to the Glove Radar. Because its radar signal is fairly weak (to save battery life) it’ll only pick up the ball just as it enters the catcher’s mitt. This means that it won’t be recording your pitch at its fastest – it’ll give the speed few mph slower than what it was when you threw it. Simple – no point-and-shoot hassle. Not as accurate as more expensive radar guns. Another Bushnell radar gun is the Speedster III, which is a little more expensive than their Velocity model. So what do you get for the extra money? This speed gun has a continuous mode, meaning you can tell it to keep recording speeds without having to hold the trigger down. It’s also compatible with Bushnell’s SpeedScreen, meaning you can use this gun to show speeds on a separate display in real-time. You could set up a SpeedScreen to immediately tell a pitcher their throw speed if you wanted to. As you’d expect from Bushnell, this radar gun is super sturdy, and comes with a 2-year warranty. It’s accurate to within +- 1 mile per hour, and can record baseballs and softballs that are up to 90 feet away. You also get a textured pistol grip for added comfort during those long training sessions. If you get tired of holding it, it’s even possible to mount the Speedster III on a tripod, as it has a tripod socket in the base. This allows you to focus on coaching, rather than having to preoccupy yourself with making sure the speed gun is pointed in the right direction. For the price, the Speedster III is excellent value. We think it’s worth paying a little more to get this model over the Bushnell Velocity – especially if you have a tripod you can mount it on. No need to hold the trigger down to record speeds. Very sturdy – 2-year warranty included. N/A – excellent radar gun for the money. If you’re really rich or just want something that’s as good as police radar, you can’t go past The Jugs Gun. Let’s cut to the chase – this thing is incredibly expensive. If you’re a pee-wee coach, it’s probably not worth spending this much money to find out how fast your kid is pitching to within half a mile an hour. For the cash you fork over, you get an incredibly sturdy device. This radar actually has similar stats to the Stalker Sport 2 we looked at above. It’ll record speeds at a 300-foot range, and will track anything travelling between 5-140mph. The Jugs Gun has a few other really handy features. It can memorize the speed of the three prior pitches you threw, and its rechargeable batteries can last for up to a week of regular use. Another great thing about this gun is its “LAST/FAST” feature. Basically, LAST captures the speed of the ball at the home plate, and FAST measures its speed at the release point. You can also tell the gun to record both if you like. As you’d expect (given what you’re paying), you also get a 2-year warranty. This device should really last you 10-15 years or even longer though – that’s how well-made it is. Essentially, this gun is one of the most precise speed measuring tools on the market. Its accuracy enables you to improve your pitching without being thrown off by incorrect readings, while its range allows you to record a ball’s pace in a real game. We all know that pitching in a match is completely different to throwing in training, so it pays to be able to have a speed gun that’s good for both. If these features sound like they could be useful, perhaps you could get each member of your team to chip in for this radar gun. Will record practically any ball at any speed. LAST/FAST functions enable in-depth analysis of your pitch. Super accurate – +- 0.5mph. Now let’s discuss some things to consider when buying a radar gun for baseball. How do radar guns work? A radar gun is basically a radio transmitter and receiver combined into one unit. When activated, it fires a radio wave forward at a certain predefined frequency. Its radio receiver then analyzes the radio waves that bounce back off the target object. If the wavelength is shorter, this means that the radio wave traveled a shorter distance on the return trip than it did on the way towards the object. Therefore, the object is moving toward the radar gun. This is known as the Doppler Effect. The opposite is also true. If the wavelength is longer, then the wave traveled a longer distance on the way back than on the way there. This means that the object is moving away from the radar gun. By measuring just how much the wavelength changes, the speed gun can determine how fast the object is moving. Radar guns use a narrow radio wave, as we just described above. However, the problem with this is it can suffer from interference. Other radios, power stations, and even power lines can cause the radar gun to produce an incorrect reading. The best radar guns out there (including what most police forces use) rely on laser technology. They work in a similar way to traditional radar guns – hundreds of laser beams are shot at a target every second, and the device measures how long it takes this beam to return to its source. At present, most speed guns priced under $1000 use radar signals. The laser technology available at the moment is too expensive for use in consumer-grade products. How do I use a radar gun? Handheld radar guns are pretty simple: just point and shoot. On most models, you simply hold the trigger down to record an object’s velocity, and let it go to reveal its fastest speed during the measured period. The best products out there will have a constant-on mode, meaning you don’t need to hold the trigger down at all times. Where you position or point the speed gun will depend on what you’re measuring. 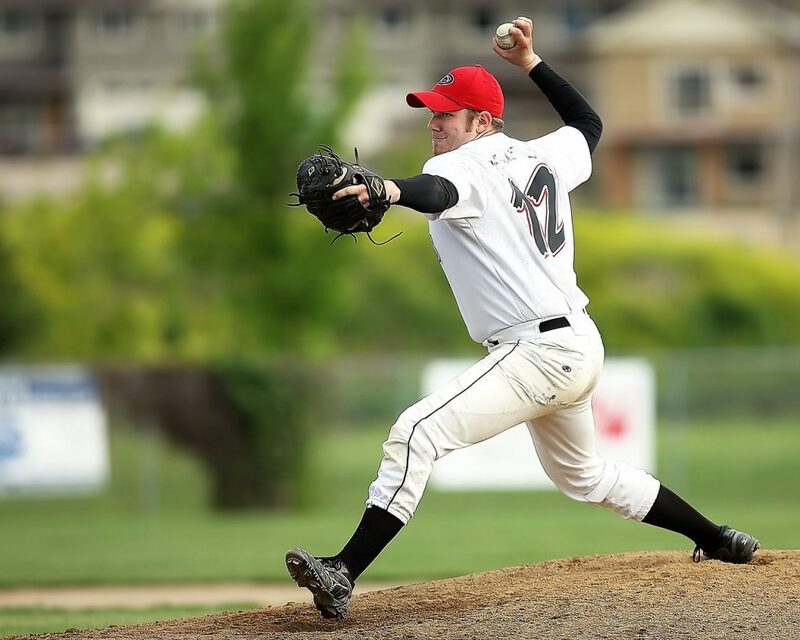 If you’re measuring pitch pace, you’ll ideally want to be behind the pitcher. Point the gun down the line of the throw. If you’re measuring a batter’s swing speed or pace to first base, you’ll want to be behind the catcher. Most radar guns won’t give an accurate reading if you’re perpendicular to the action. As we explained above, speed guns measure velocity by looking at whether the object is moving towards or away from the device. You need to be directly behind or in front of the object you’re trying to measure to guarantee an accurate reading. These days, you can actually get baseballs and softballs that will record the speed they were thrown at. After you throw them, a little LCD screen will display the pace of the pitch. The good thing about these devices is you don’t need someone to help you record your speed – you can use them by yourself. They also tend to be cheaper than most radar guns. However, these products often give inaccurate readings. They can also break easily, and don’t feel the same as throwing a normal baseball. If you’re serious about recording your speed, we’d recommend getting an actual radar gun rather than one of these balls. Photo by Dennis van Zuijlekom licensed under CC-BY-SA 2.0. Glove radars, which are gadgets you can attach to the back of the catcher’s mitt to get a speed reading. Generally, they work surprisingly well. Just be aware that you should add 4-5mph to the readings they give because they only measure the speed of the final few feet of the pitch. Smartphone-style radars don’t require you to hold down a trigger to take a recording, which is great if you’re practising alone. You can either hold them in your hand like you’re taking a picture on your phone, or use them on a tripod/stand. Plus, they’re great for measuring your swing speed as a batter as well as your pitching pace. However, they can be expensive. Most speed guns use run-of-the-mill single-use batteries. Typically, you’ll need to use AA/AAA batteries, which should last for 24 hours or so of continuous use, depending on the device. Some more expensive models come with rechargeable batteries. This is the best option for most people, as it means you don’t have to worry about ordering enough single-use batteries to last you the entire baseball/softball season. Each speed gun on the market will only record speeds accurately up to a certain distance. For training purposes, getting a gun with a range of 90-100 feet will be fine. Since you’ll be standing right behind the pitcher and the distance to the mound is only 60′, 90 feet or so will give you plenty of room. The only reason you’d want more range is if you’re measuring in-game speeds. For example, if you’re analyzing player performance or scouting a pitcher. If you’re measuring velocity from the stands, try to find a speed gun with a range of 300 feet or more. This will ensure that you get accurate readings on a consistent basis. Are expensive radar guns worth buying? Browsing online, you might have noticed a few speed guns available which cost $500-$800 more than most other models. Rechargeable batteries, which can save you money in the long term. Ultimately, unless you’re a scout or a college/major league coach, it’s probably not worth getting such an expensive gun. For little league/junior players and coaches looking to improve pitching technique, a $100-$200 speed gun will give you the best bang for buck. Hopefully you found the perfect radar gun for your baseball/softball needs. Let us know if you have any questions in the comments below!